← Tribute to the Women of Oaxaca by Lila Downs. Disfruta bien! Enjoy! 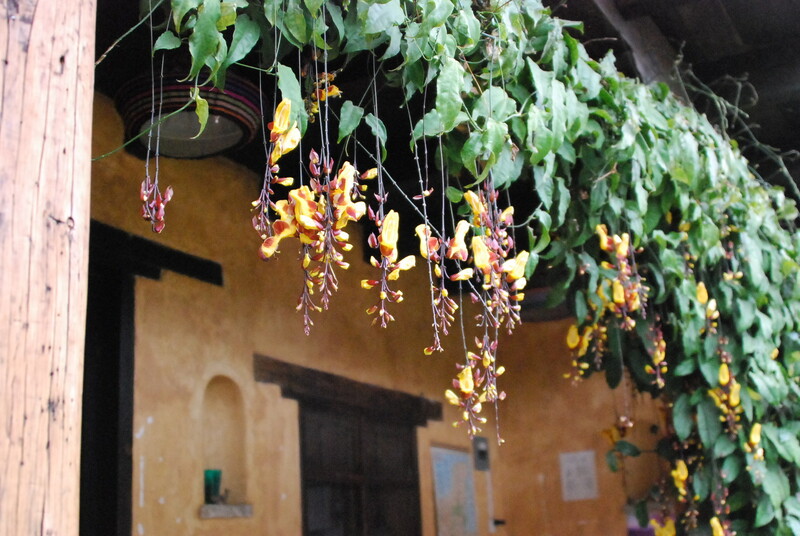 In retrospect: The best of San Cristobal de las Casas! Now that I am back in Oaxaca, settled into my comfy room with my Zapotec family in Teotitlan del Valle, I revisit my travels to San Cristobal de las Casas. 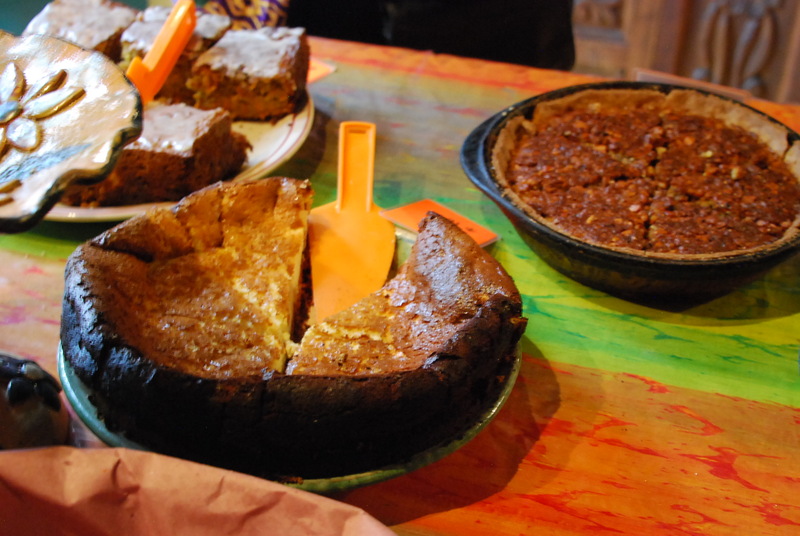 With Oaxacaqueño organic coffee from Nuevo Mundo in hand to wash down the almond paste and chocolate croissants leftover from the San Cris authentic French bakery on Real Guadalupe, one of many in San Cris, I am reminiscing. 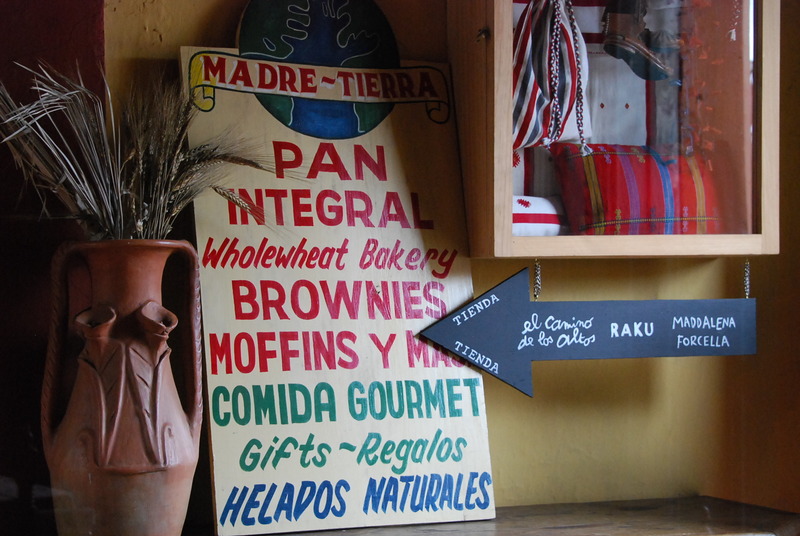 San Cristobal de las Casas is a perfect city for eating, sleeping, strolling, exploring indigenous culture, shopping for textiles and amber, and sitting at sidewalk cafes watching the world go by. The world is well-represented here. There are travelers from just about every European country, the U.S., Australia, and Asia. The cuisine reflects this. Someone told me that San Cristobal is, per capita, the most international city in Mexico. 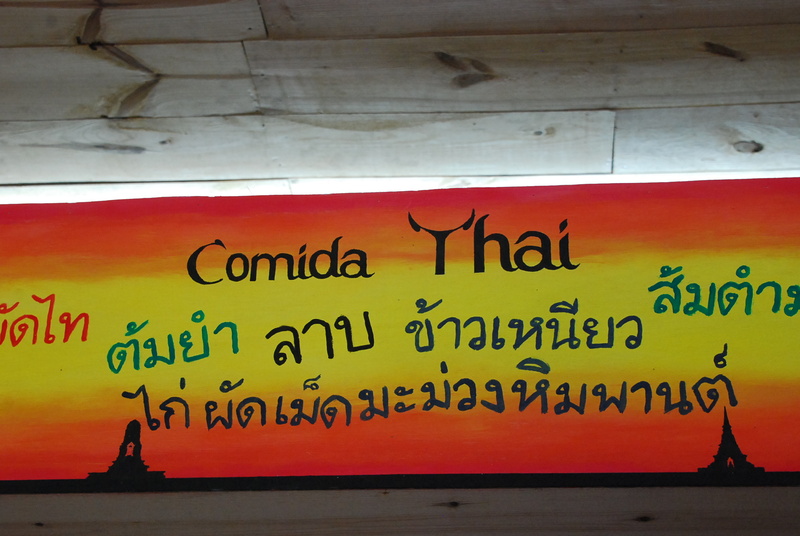 At Comida Thai, Real de Guadalupe #84, you can dine as I did on an incredible, authentic spicy red curry in coconut milk with chicken, for 85 pesos. 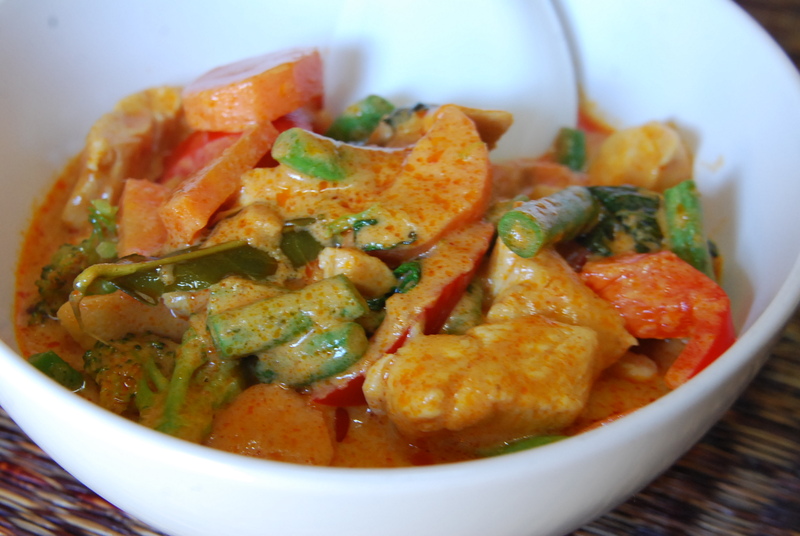 Close your eyes and you could be in Bangkok. Chef Sutharee Nagavajara is young, talented and welcomes you to the 11-seat restaurant she operates with her husband Carlos Sanchez Andonaegui. Don’t miss it! Enjoy authentic Italian cannelloni or pizza or house made pasta (fettucini, spaghetti) with a choice of toppings at Napoli Italian Restaurant on Ejercito Nacional #8 between Av. Gen. Utrilla and Av. S. Dominguez. Chef/owner Romero is from Italy and has been in San Cristobal for over 10 years, in Mexico for more than 20 years. The restaurant seats 12 and the joy is in sharing a table with strangers who become compadres. It was SO GOOD I ate there three times! 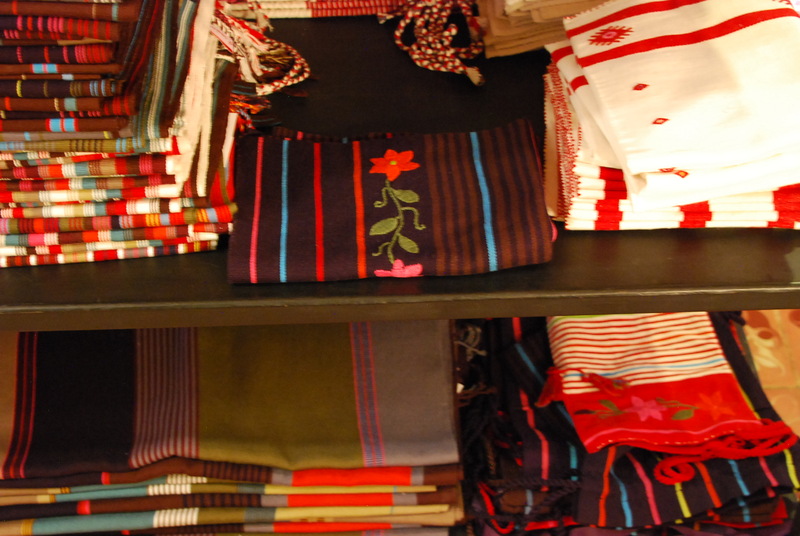 In Plaza Madre Tierra on Insurgentes across from the Mercado de Dulces y Artesanias is the MOST wonderful bakery, a welcoming cafe, and gallery that features the textiles from Los Caminos de los Altos Cooperativo. Stop for homemade dark chocolate (amargo) truffles flavored with tequila at Cafe Yik (on the zocalo or Anandor Av. 20 de Noviembre). 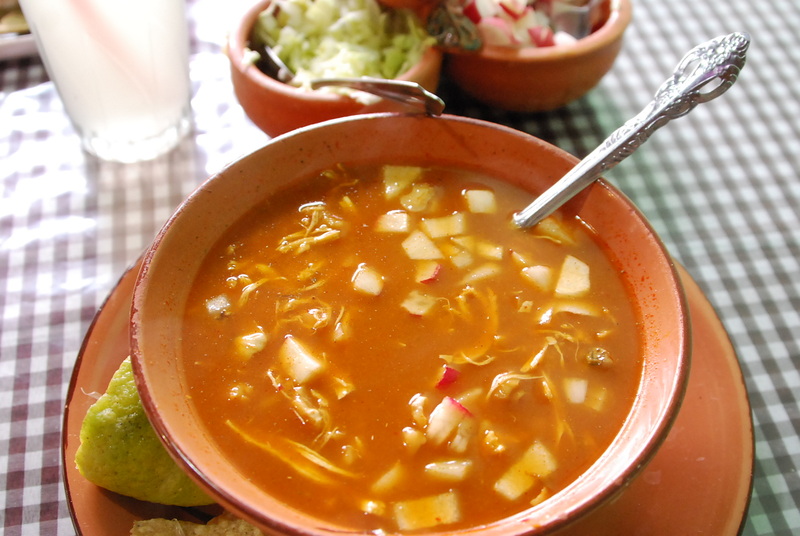 Buy some after dinner to nibble on during your walk “home.” Have a lunch of pozole con pollo at Gorditas on Av. Miguel Hidalgo for under $5USD. Splurge for dinner at Restaurante Babel, also on Real de Guadalupe. For under 160 pesos per person you can get the menu of the day that includes a first and second course, a glass of good Argentine wine, and coffee. Where I have included links to TripAdvisor Reviews, this means the location does not have their own website. 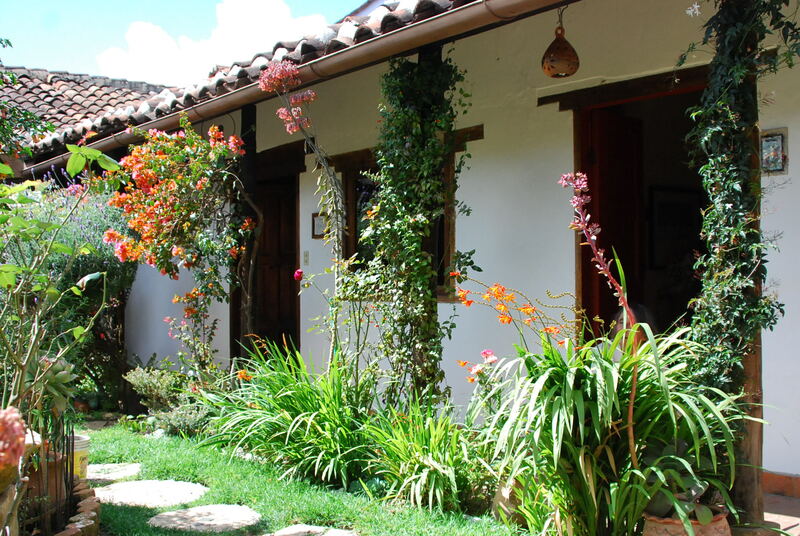 My home away from home in San Cristobal de las Casas is Bela’s Bed and Breakfast, Av. Dr. Navarro #2. She is Numero Uno on Trip Advisor, so get your reservations in early. 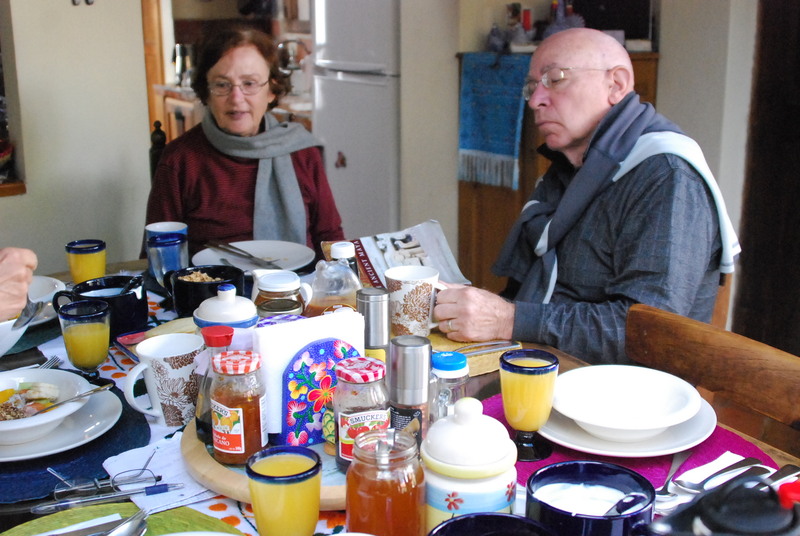 The breakfast includes unsweetened natural yoghurt, a mixed fruit bowl, homemade granola with plenty of nuts and seeds, eggs cooked to your liking, bacon, juice, and extraordinary coffee. 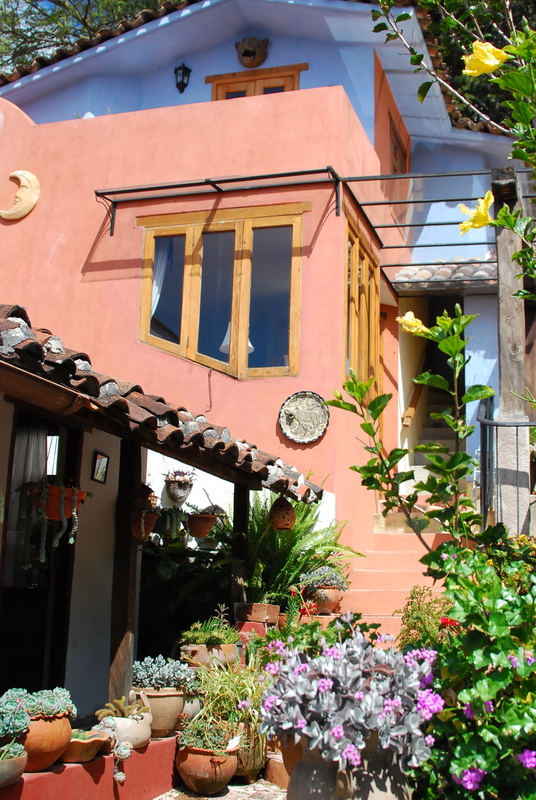 Bela is a great host and the five-room adobe, and tile casa is built around a lush patio of flowering plants and local decor. Bela gives you a good map, and tips for eating, touring and shopping. From $45 per night for shared bath, $70 per night for private bath. Best back up is Posada del Abuelito on Av. Tapachula #18. 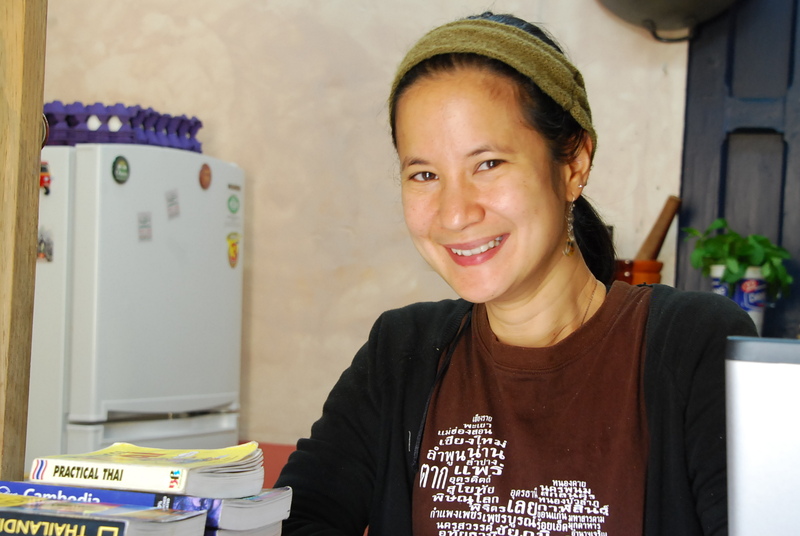 Rebecca and Rob run a lovely hostel that caters to backpackers who like to share dorm space. 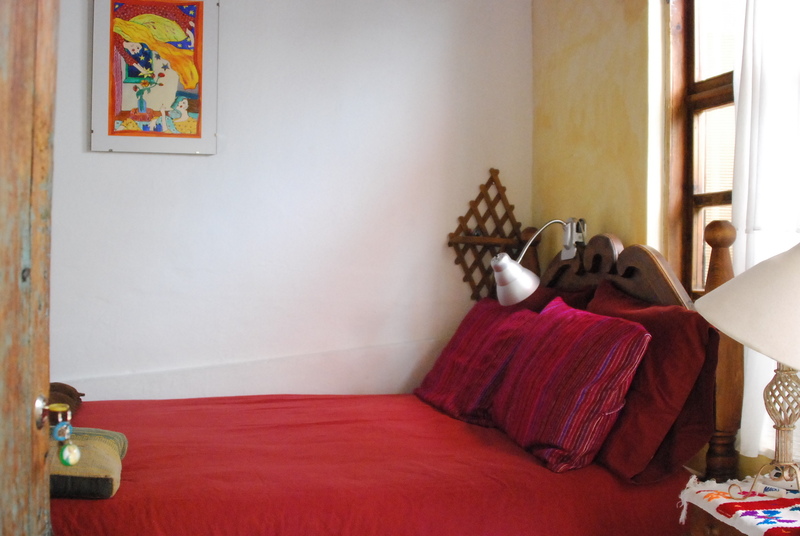 But there are two lovely, very clean rooms with private bath for 280 pesos per night, including a breakfast of fresh fruit, bread, coffee and access to the kitchen. I discovered Tienda de Artesanias Karmelita, Av. Gen Utrilla #31-A on the day before I was set to depart back to Oaxaca. Karmelita’s has the best quality at reasonable prices. 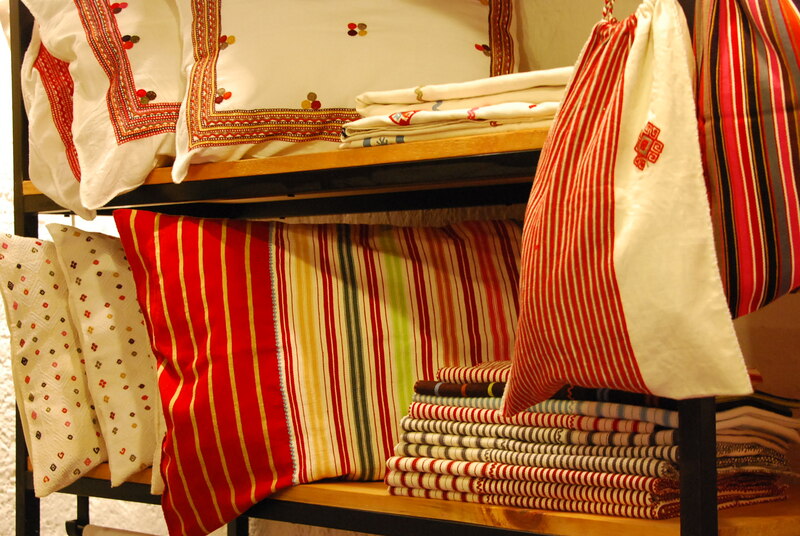 Shop here if you can’t get to a pueblo (still iffy, since someone might take you to a place of poor quality and higher prices) and if you don’t know much about textile quality. No website. 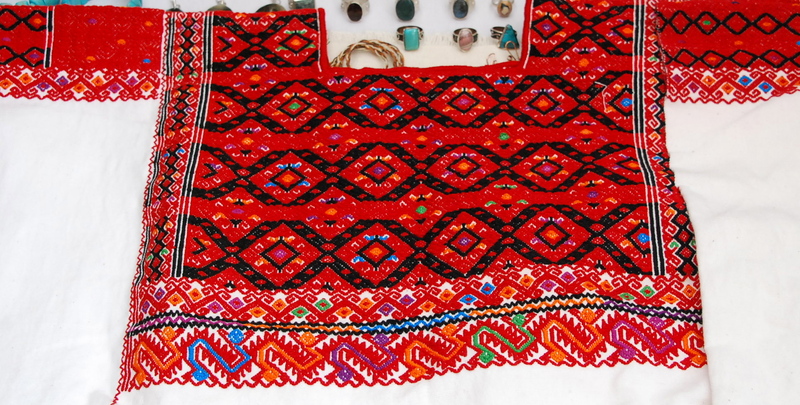 Phone (967) 100-1996 or estevez_fer20@hotmail.com I got a gorgeous ceremonial huipil from Las Margaritas pueblo at a fraction of what a similar one sells for at Sna Jolobil (museum quality, museum prices) and of better quality than any other shop in town. 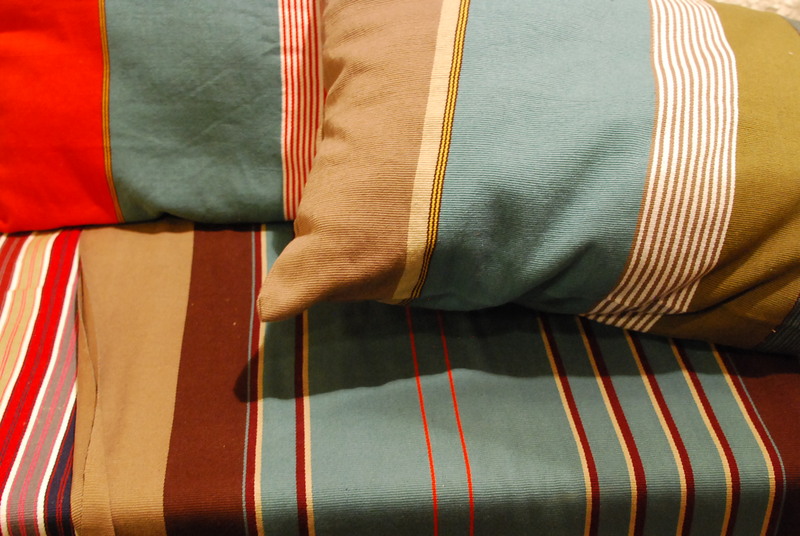 The one above is handwoven wool with natural dyes. The outdoor market at Santo Domingo church can yield special finds if you know what to look for. 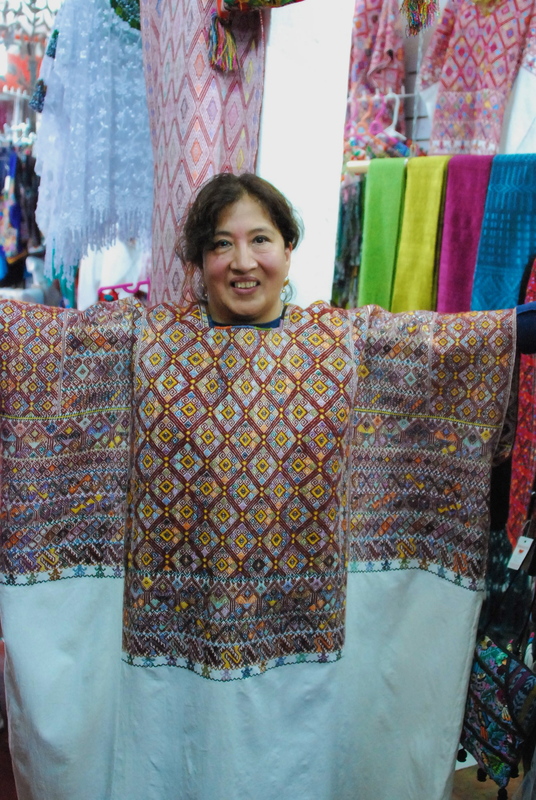 I found a gorgeous huipil, finely woven on a backstrap loom with intricate bordado weaving from the village of San Andres Larainzar for 700 pesos– that’s $58USD (double that in a gallery). 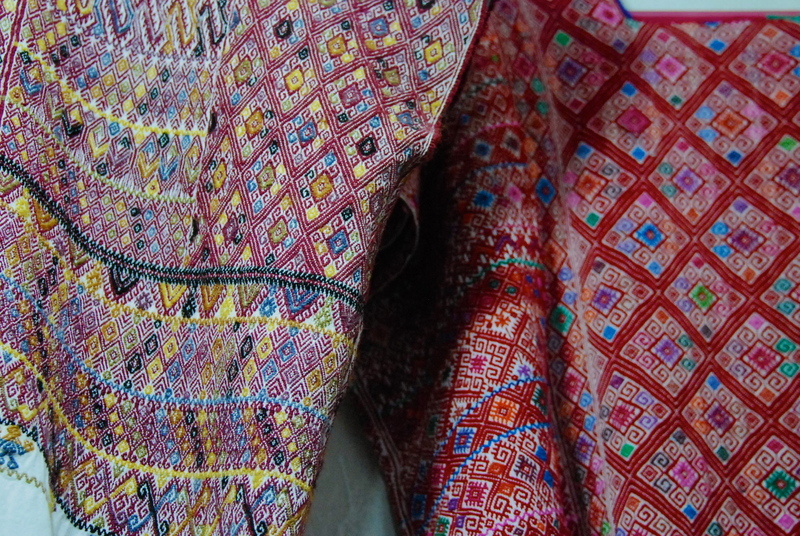 In the market on my last day I also found two extraordinary huipils from the village of Chenalho high in the mountains outside of Chamula with handmade cloth and intricate embroidery for 250 pesos each (that’s $22USD). Look at the handwork. Turn the cloth inside out to see how the stitching and weaving is finished. Look for tightness of weave, for the quality of the finish work, the binding off around the neck and armpits, hems. 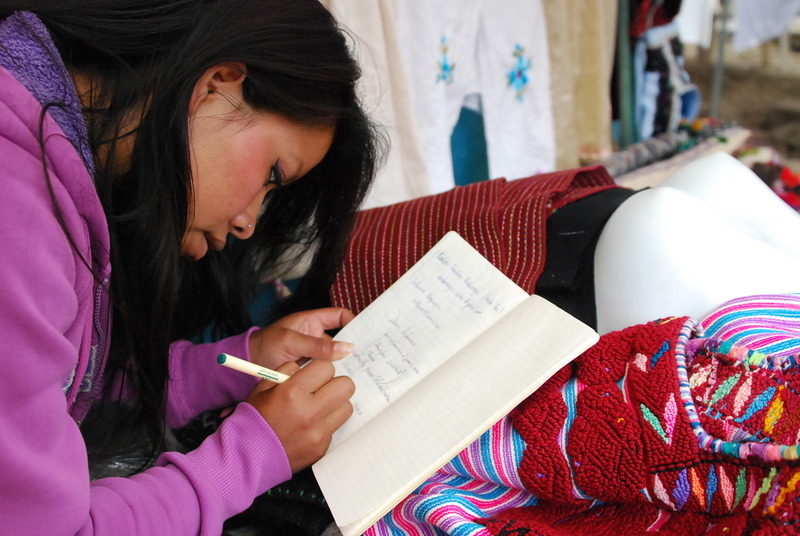 Chenalho women and children were massacred by paramilitary extremists during the Zapatista era and I wanted to support them with a purchase. Sneak Preview! Last night at a party, I met Ann Conway and John Do, who met years ago while they were Peace Corps volunteers. The plan to open La Joya Hotel San Cristobal this coming August 2012. See www.lajoyahotelsancris.com to keep up with their progress. 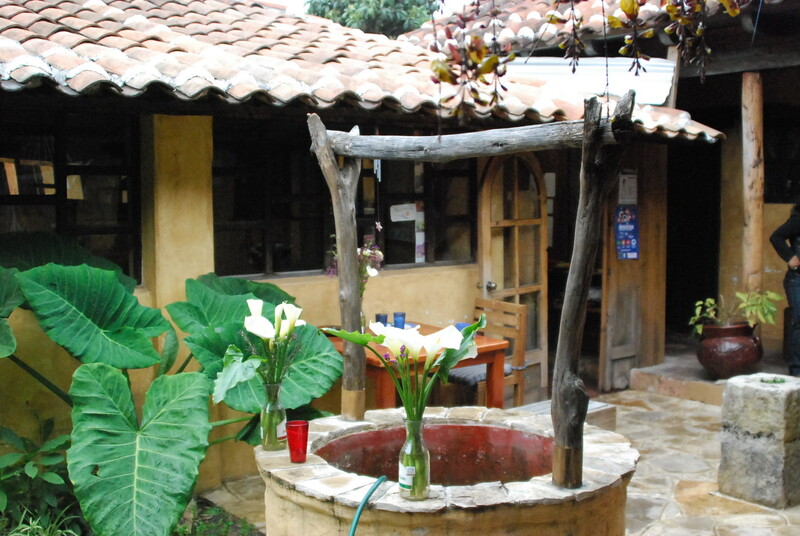 This entry was posted in Cultural Commentary, Dining and Lodging, Oaxaca Mexico art and culture. Bookmark the permalink. Thank you very much, Norma. We intend to take all this in – – how timely! Great. Glad the information will help you plan your visit.